In alignment with suggestions made by the Strategic Planning Committee, Milton-Union Schools made changes to the Program of Studies and updated course offerings in meeting student and community needs and driving academics, career readiness, and student-centered learning. We have created career pathways for high school students, so they will be prepared to meet the demands of the future workforce. Similar to changes and variations in the labor market, pathways can be flexible as students periodically reflect on, consider, and identify goals in determining interests. We must do our part to prepare children for ripples in market demands in an ever-changing and competitive world. For students seeking rigorous and challenging coursework with guidance from Milton-Union staff members, we have added seven Advanced Placement (AP) classes bringing our total offerings to eight. When college admission officers see “AP” on students' transcripts, they know classroom experiences will have prepared them well for the challenges of college. Taking AP is a sign students are seeking the most rigorous classes Milton-Union offers. Because students will stretch themselves academically, we strongly encourage this option and suggest you make an appointment with one of our school counselors to learn more. In addition to AP courses, we restructured STEM offerings. Two new courses, through Project Lead the Way, will prepare our students to succeed in Science, Technology, Engineering and Mathematics fields. Through our ongoing partnership with the Miami Valley CTC, students will participate in the Introduction to Engineering Design (IED) course their first year. Students will be introduced to the engineering profession and a common approach to the solution of engineering problems, an engineering design process. Utilizing the activity-project-problem-based teaching approach, students will progress from completing structured activities to solving open-ended projects and problems requiring them to develop planning, documentation, communication, and other professional skills. Through both individual and collaborative team activities, projects, and problems, students will solve problems as they practice common engineering design and development protocols such as project management and peer review. Students will develop their skills in technical representation and documentation of design solutions, and they will use current 3-D design and modeling software to represent and communicate solutions. Choosing a learning path in high school can be challenging. 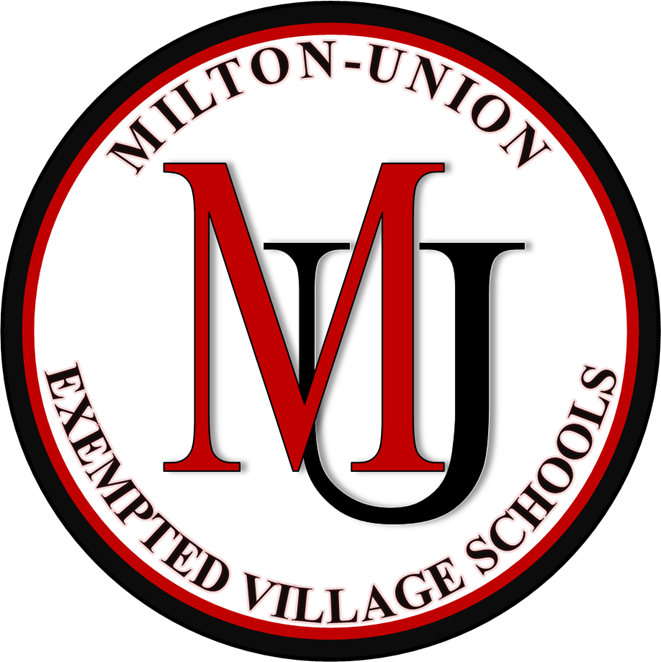 We offer a number of electives at Milton-Union Middle School to help guide students and parents with those decisions. Electives are designed to not only meet student interest but also provide them with an opportunity to experience many different areas of study. Milton-Union Middle School Electives often take students out of what they may typically choose to study and expose them to new and different content. These varied experiences help them to make an informed decision when choosing high school pathways. We have revised 2017-18 electives in also meeting the needs of our students and community members. We are adding a Project Lead the Way Design and Modeling course to expand student opportunities in STEM. Design and Modeling students apply the design process to solve problems and understand the influence of creativity and innovation in their lives. Using Autodesk® design software, students create a virtual image of their designs and produce a portfolio to showcase their innovative solutions. Students who complete the PLTW Design and Modeling course will have an increased understanding of how innovation takes place in today’s economy. At the elementary school, students will also experience an increasingly aligned focus on STEM learning activities and the utilization of technology and engineering processes to solve real world problems. Students in Grades Two through Five will work with Mr. Alan Limke in these areas as well as providing additional coding experiences for our children. Students are expected to complete an ever increasing amount of tasks using district-provided technology – classroom project support, local initiatives, and state accountability programming. Consequently, for Kindergarten and Grade One, Mr. Limke will focus on student device use, functionality, and familiarity. For many of the same reasons and also to prepare students for next steps as secondary students, Mrs. Melissa Dornbush will work with students in Grades Two through Five in developing their keyboarding skills. She will also be working with younger students to continue to foster fine/gross motor skills and support children in every aspect of their lives and development. Finally, several members of the elementary teaching staff have immediately jumped on board with the integration of Microsoft Teams as our Learning Management System. This year, the district will enjoy full 1:1 integration, so the elementary will be able to continue its amazing work in design-thinking and problem-based learning!